In collaboration with HASTE (Hub for Action on School Transportation Emissions), two mornings in June were spent working with about 60 grade 5 students in New Westminster to identify safe routes to school. The community of Queensborough is a small suburban neighbourhood on the Burrard Peninsula. 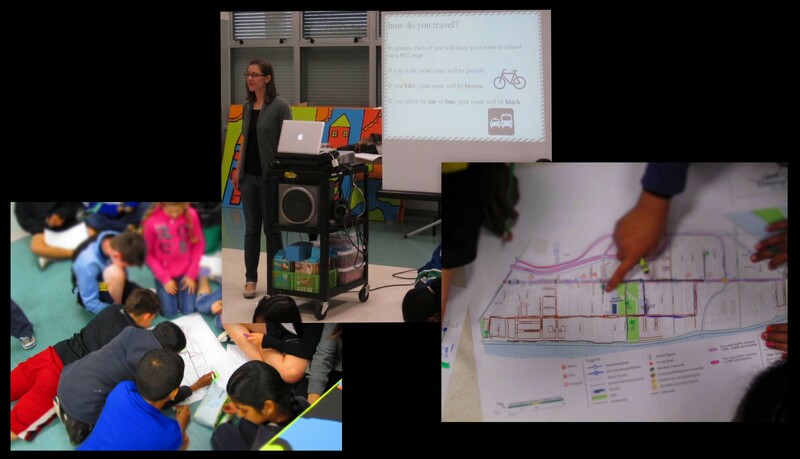 Eager to make improvements to the public realm and clearly identify the safest routes for children while travelling to and from school, HASTE has engaged the students in talking and learning about active modes of transportation, with an initial focus on cycling. In fact, the school has recently ordered more bicycle racks to accommodate the increase in the number of students biking to school over the last few weeks. During the first session students were introduced to memory mapping and led through two exercises. First, they drew individual maps of their routes to school. Then they collaborated in 5 groups to draw natural features and favourite places on large maps of the school neighbourhood. 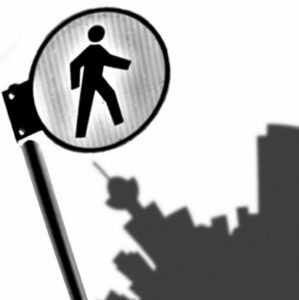 They also identified negative features, such as busy or dangerous streets and missing sidewalks. During the second session students were asked to explain the negative features highlighted on their maps and list their top 5 favourite and least favourite spots along the route to school. This worked well to foster dialogue of what potential improvements could be made to the perceived and actual safety of the neighbourhood, with a focus on the specific needs of school-aged children.